It is almost a year to the day since I wrote my first article about the Rare Cask releases from Abbey Whisky. Last time they launched a ridiculously good Caperdonich and a nice delicate Bunnahabhain. 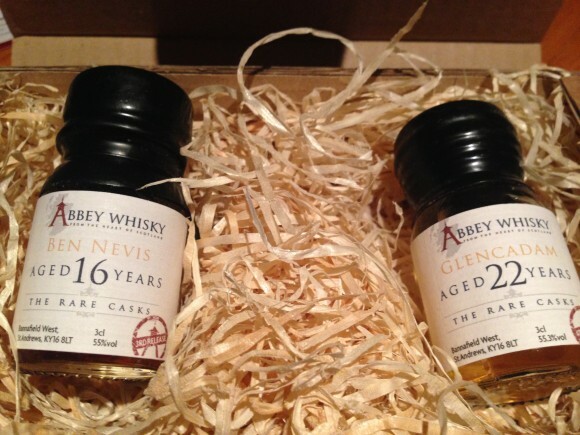 This year the Rare Cask releases are a Ben Nevis 16 year old and a Glencadam 22 year old. Each release has only 96 bottles in the batch and is single cask, so they are just as rare as they say on the tin. The Ben Nevis 16 is release number 3 of the Rare Casks. Distilled in 1997 and matured in a sherry hogshead for the full 16 years before being bottled non-chill filtered at 55%ABV. The Glencadam 22 year old is the 4th release in the series. It is distilled in 1991 and then matured in a refill Burbon cask for the 22 years and bottled non-chill filtered at 55.3%ABV. Nose: Intense. 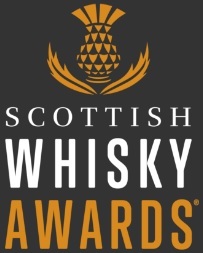 If a whisky was purely judged on impact strength this would be a winner! Big rich and spicy fruit notes. Dried raisins in rum, cinnamon, nutmeg and cooking chocolate. You could tell it is sherried from a foot away. Once it calms down a bit some nut notes come through and a slight rubber/sulphur note. Palate: Not as fiery as I thought it would be after the intense nose. Plenty of character though. Fruit and nut chocolate bar, figs, cloves and the nutmeg again. The sulphur notes are there a little again with a slightly smoked meat note. Then a syrupy orange comes in. Finish: Long and smooth with a warming spice. Nose: Light, fresh and floral. A nice citrus infused honey note. Heather, dusty picnic rug (thank you PARENTS for always having a dusty picnic rug!) and soft lemon curd. Palate: A lovely lemon curd at the start. Butter, pepper and lemon zest. Gets a little thicker and creamier but does not change too much. Pleasant but not complex. Remarkably smooth for the ABV though. Finish: Quite long and fresh. Lemony and light, like the nose and palate. Overall: Two very different releases from the Abbey Whisky Rare Cask range and just like last year I prefer the younger one. The Ben Nevis release is a great example of full on sherry done well. Plenty of intensity, a variation of characteristics and the meaty sherry notes don’t go too far. A great whisky and a great price for something with a limited run of only 96 bottles. The Glencadam is also a good whisky, just a little one dimensional. If you want something different, well priced and refreshing (as much as a whisky can be refreshing) it is a good shout. 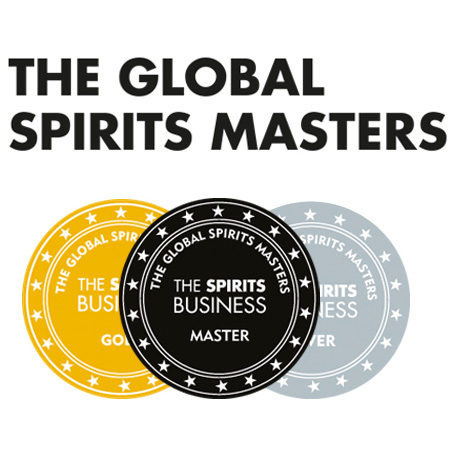 Once again Abbey Whisky have succeeded in selecting two good whiskies for their Rare Casks range. Two very different whiskies that showcase two very different styles of the whisky industry. Can’t wait for next year! This entry was posted	on Sunday, July 6th, 2014 at 8:50 pm	and is filed under Reviews. You can follow any responses to this entry through the RSS 2.0 feed. Responses are currently closed, but you can trackback from your own site.